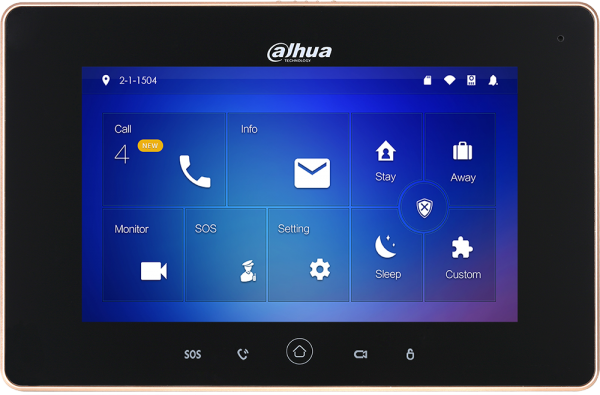 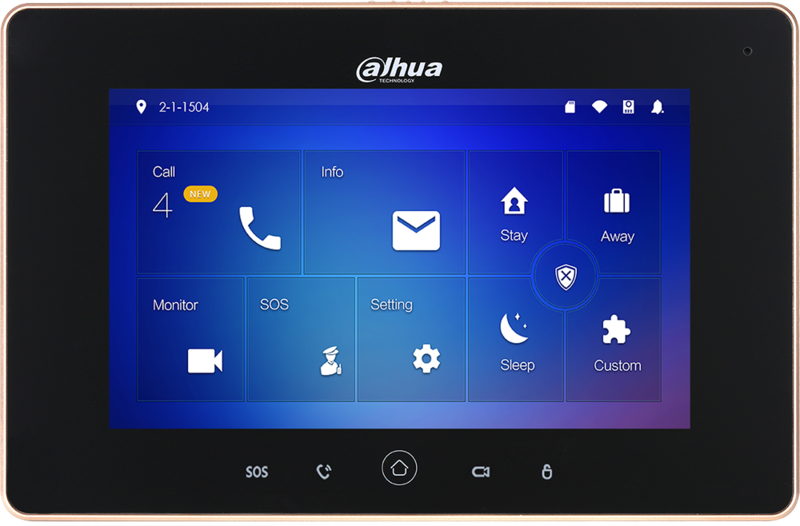 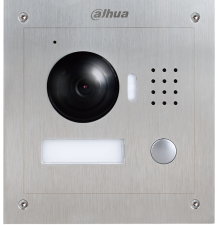 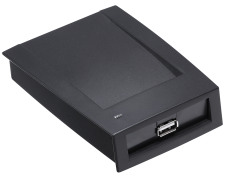 The DHI-VTH5221 Series indoor monitors allow tenants to view and talk with visitors, record call sessions, monitor the surroundings from outdoor stations and IP cameras and remotely unlock doors. 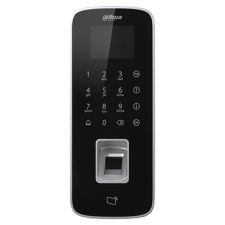 Visitors can also leave messages, which can be retrieved from the indoor monitor or remotely using the iDMSS or gDMSS app. 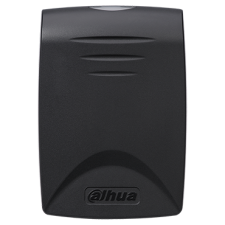 The DHI-VTH5221 Series indoor monitors are used as part of a video intercom solution with compatible outdoor stations.